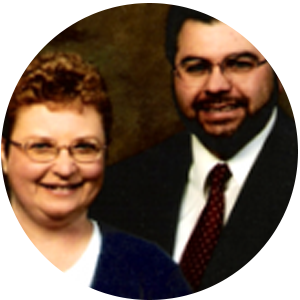 Jose and Carol Esquibel were approved as Baptist Bible Fellowship missionaries to England in September 1995. Jose is a 1982 graduate of theology and has a BS degree in missions earned at Baptist Bible College, Springfield, Missouri, in 1984. Carol has a graduate of Christian education degree earned in 1984 and a BS in missions from Baptist Bible College, completed in 2006. They served their internship at Lifeway Baptist Church in Ellettsville, Indiana. He pastored from 1985 to 1988 at Bethany Baptist Church in Holton, Kansas. The Esquibels have three children.